Known for her rich history, friendly town folks and incredibly cheap and delectable eats, Ho Chi Minh City is the best place for foodies to embark on an all-you-can-eat extravaganza. Sure we all know what a good pho or banh mi should taste like, or so we believe we do. Prepare to have your perceptions completely flipped on its head. Though, it’s only fair that we warn you that having your favourite Vietnamese treats in Singapore won’t be the same anymore. If that doesn’t deter you at all, dive into true-blue Vietnamese food starting from the back alley streets of Ho Chi Minh to some of the poshest looking bars. 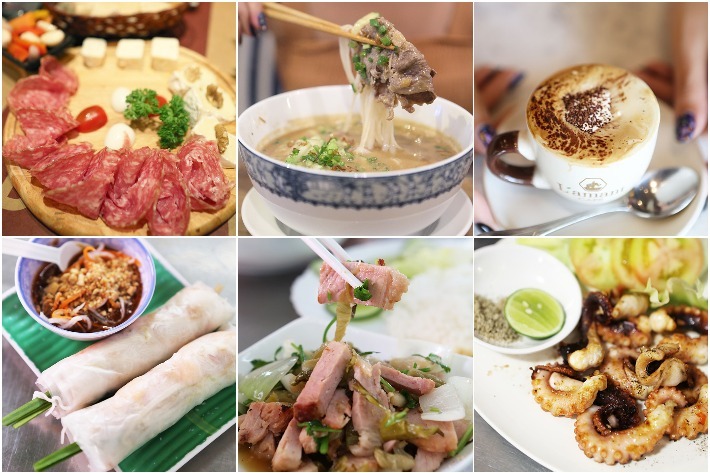 To help guide you along, here’s our Ho Chi Minh City District 1 food guide. After a full day of eating Pho and Bahn Mi, we were feeling guilty after gorging ourselves with that much delicious and hearty street food, so we knew we had to cleanse ourselves with something a little healthier. Just a stone’s throw away from Ho Chi Minh City’s very own “Stark Tower”, the Bitexco Financial Tower, sits one of the trendiest and most modern-looking cafés in District 1, The Running Bean. We were first drawn to the chic architecture of the single-story building, reminiscent of South Korean-style cafés with geometric patterns lining the exterior of the building. The Running Bean is popular amongst a younger demographic and the entire compound is filled with Instagram-worthy backdrops for you to snap the perfect “OOTD”. 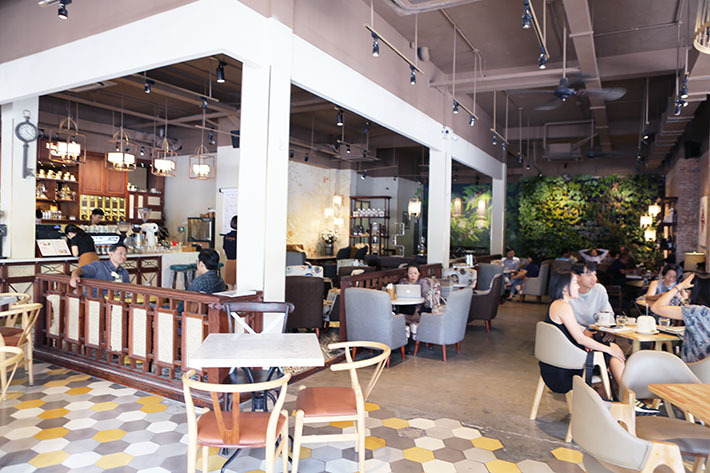 If you’re planning to take a short break before embarking on more adventures in HCMC, take a break at The Running Bean and lounge in one of their comfortable seats inside or al fresco. Just a stone’s throw away from the hotel we were staying at in Ho Chi Minh City, sits cosy little pho joint, Mama Pho Restaurant. The seemingly cafe-style establishment serves up pho as well as other local delights but how it differs from those you get from the streets is a massive variety of pho types, as well as sides. Mama Pho has a stellar pho-centric menu, featuring not only different flavours of the classic soup-based pho. Here is where you’ll find unique pho-based creations such as their Crispy Pan-Fried Pho, Rolled Pho and even Wok-Fried Pho. You won’t find many locals dining here given its higher price point, but here’s why we think that Mama Pho is worth a visit regardless. Phuc Long Coffee & Tea is essentially the Starbucks of Vietnam, with outlets sprawling all over Ho Chi Minh City at literally every corner. 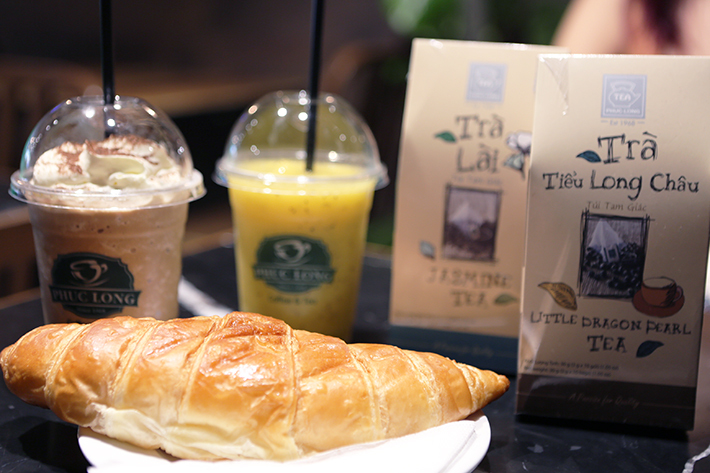 This Vietnamese-born chain is best known for their tea and their iced teas are a big hit with many people of all ages. The outlet we visited was rather spacious and it took up 3 levels of a stretch of shophouses, and although it might resemble the look and feel of a commercial coffee and tea chain, it was far from it. Here’s what’s actually worth ordering at Phuc Long Coffee & Tea. L’amant Café impresses with both their gorgeous decor and a sensational medley of tasty treats. 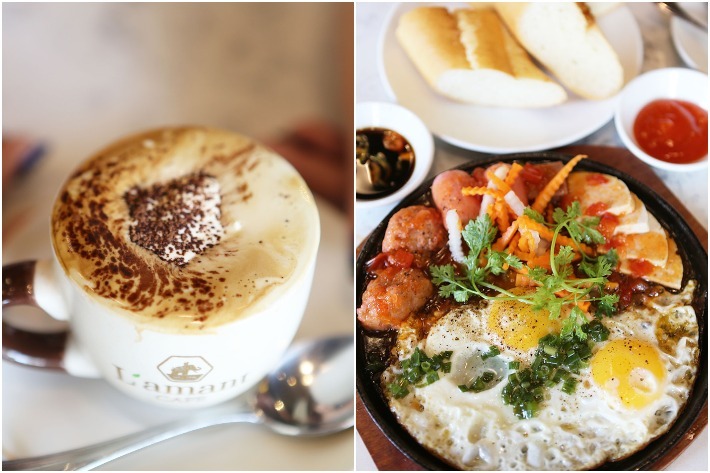 Conveniently located in District 1 of Ho Chi Minh City, the elaborate yet cosy café is best known for their range of Vietnamese coffee and contemporary Vietnamese dishes. Upon stepping into L’amant Café, you will be amazed by the huge and spacious interior and the massive range of instant coffee in their retail section. From the food, the coffee and even the service, here is what we loved about L’amant Café in Ho Chi Minh City. Amidst the hustle and bustle of Ho Chi Minh City, we found a cosy little wine bar in the heart of District 1—BRIX Winebar Kitchen. This cosy little bar stood out amongst the other bars in the vicinity with its sleek design and modern furniture—and considerably less dodgy appeal. BRIX also serves a great range of charcuterie, cold cuts and cheeses on their menu that pair excellently with their wines. You can mix and match a few of your favourites to enjoy while you drink the night away. If you’re looking for a nice and comfortable retreat in Ho Chi Minh City, you will fall in love with BRIX Winebar Kitchen. A popular pit stop among the Vietnamese locals, Nhu Lan Bakery houses several food stalls in one. The establishment functions as a banh mi kiosk, a proper sit-down Vietnamese eatery as well as a delicatessen and meat grocer. Every morning from as early as 5am, throngs of locals park their scooters right outside the eatery, grabbing themselves a quick bite before going about their day. Curious, and pining for a taste of what locals deem delicious, we decided to pay the humble eatery a visit. They serve everything under the sun, from tasty, proper bowls of pho bo, to a massive selection of banh mi toppings and even some other local delicacies not commonly found elsewhere. Phan Boi Chau Night Market – Is Ho Chi Minh’s Central Night Market Worth Visiting? Visiting night markets in any country is one of the best things to do to truly soak up a country’s culture, largely due to the amount of local street food, people and shops present. In Saigon, the popular Phan Boi Chau Night Market is a hit among tourists. In the day, Ben Thanh Market is bustling with locals and tourists buying fresh produce and knick-knacks. When night falls, the area surrounding Ben Thanh Market comes to life and the Phan Boi Chau Night Market emerges. In District 1, Phan Boi Chau Night Market is the most populated night market as they open daily from 7pm. When we arrived, we were slightly disappointed by the size and crowd of the night market. However, that didn’t stop us from exploring it in its entirety. Should you visit the Phan Boi Chau Night Market? Let’s break it down for you.